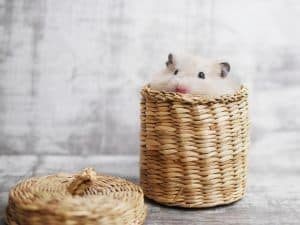 As a hamster owner, you might find yourself asking, does my hamster actually know me? 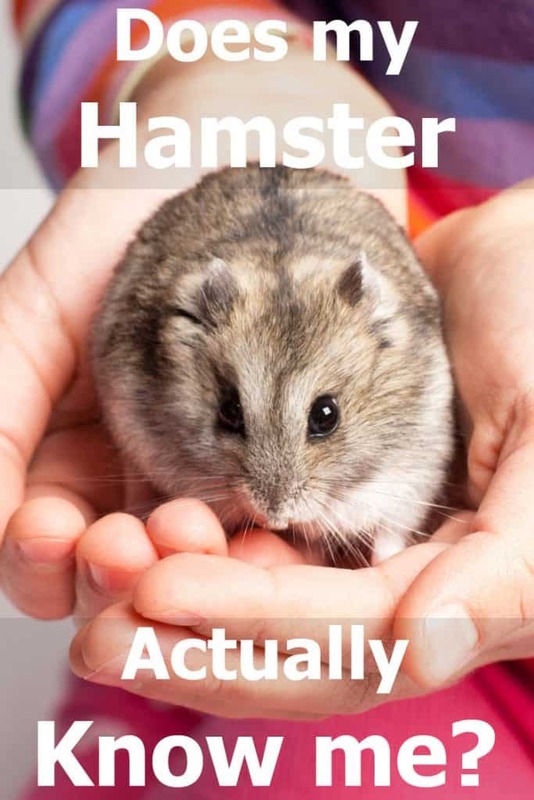 After all, hamsters aren’t the most cuddly of pets and are generally pretty shy. So, does this mean you’ll never build a bond with your favorite furry little friend? A hamster can get to know his or her owner over time and given enough bonding time. See, with the right amount of socialization, your hamster will begin to recognize you. In fact, after a while, they’ll even start to bond you. However, hamsters won’t bond with everyone in your life; they typically to one or two people. Now, you’re probably wondering how to make sure you become one of those people? Well, the rest of this article will give you tips on how to cultivate a relationship with your hamster. So, read on and get all the information you need to build a bond with them! At first, your hamster won’t recognize you from anyone else; you’ll all be these strange creatures to them. This lack of initial bond comes from their poor vision. See, without a good set of peepers, they’ll need to rely on different senses to recognize their owners. And given these senses are a lot less direct than merely looking at you, it takes a little bit longer. With this in your mind, a question will pop into your head, how do you build the bond? Well, as previously stated, it centers around socialization. When you first get your hamster, try putting your hand in their cage. In doing so, you’ll get them used to the idea of you being a part of their life. Essentially, you’re building the foundation of your future relationship from the very first day. Now, the first day you do this, your furry friend might not come near you. In fact, they might even bite you. If this does happen, it’s essential you don’t get discouraged. After all, hamsters are pretty shy creatures, which isn’t a big surprise given how vigilant they how to be in the wild for survival purposes. It’s also a good idea to speak slowly and softly during this entire process. 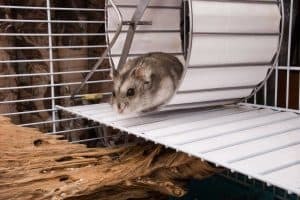 As mentioned before, hamsters can recognize your voice as well as your scent. Therefore, it’s a good idea to use this bit of knowledge to heighten their familiarity with you. After all, any little bit of connection will help. I’d imagine the first day is a pretty stressful experience for your hamster. However, if you keep doing this day after day, your hamster will eventually come towards your hand and sniff it. Once they have a sense of your scent, they’ll start to accept you as a part of their everyday life. In other words, they’ll become more and more familiar with your presence, which will eventually make them feel comfortable. After they start feeling comfortable, they’ll eventually crawl into your hand. And then, it’s time to move onto the final step. Disclaimer: During this process, it’s also essential you don’t make any sudden movements. In fact, all of this process must be done at a very slow pace to ensure you don’t scare them. Now, that your hamster has crawled into your hand, you must start building the bond by gently pet them. By doing so, you’re easing them into the idea of you handling them. And once you do this entire process for a week or two, your hamster will actively seek out your attention. Therefore, your hamster will know you exist and that you represent something good in their life. In the end, it’s about making them associate you with something that creates a pleasurable experience. Also, remember to use your voice in a soft tone during this process. It will help soothe and comfort your hamster, which will help them accept this new being, you, in their life. And that’s the last step. Simple right? Honestly, all it takes is a little effort and patience. Once you provide both of them, you should have no trouble creating a bond between you and your hamster. Honestly, you must be wondering if this whole process is rather one-sided? I mean, is creating this bond with your hamster a necessary and healthy experience for them? After all, we don’t want to force them into doing something that isn’t natural to them. So, with this in mind, a question like do hamsters enjoy your signs of affection will most likely wander into your head. And thankfully, the answer is yes. In fact, hamsters thrive on human interaction and often will seek it out with the person they trust the most. Therefore, it’s essential you follow the steps above and begin gaining your hamster’s trust. By providing them with a constant source of affection, you’re bettering their life. Essentially, you’re giving them something to connect with and be a source of happiness for them. Overall, as hamster owners, we just want to make sure our hamsters are happy and healthy. And by providing them with regular affection, you’re creating a nurturing environment that embodies both of those concepts. Now, they’re many different ways to show your hamster affection. But the key to continuing building this bond relies on a constant source. What does this mean? Well, it means you must regularly provide them with some affection to assure them it’s a consistent part of their life. In doing so, your hamster will begin to trust you more, which will make your relationship more rewarding. As mentioned previously, there are many ways to do this, but I recommend providing them with multiple sources. For example, try the step by step process above one day and then carrying them around in your shirt pocket the next. Or if you want to get crazy, you can do both on the same day. 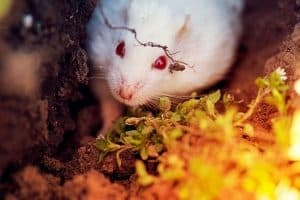 Plus, you can also feed them vegetables right out of your hands to show them affection; it will again make them associate you with something they find pleasure in doing. In my opinion, the best way is by allowing your hamster to sit on your shoulder. See, hamsters are known to love sleeping on their owner’s shoulder. I don’t know if they like being high up in the air or just like the feeling of being close to the person they trust? But regardless, hamsters absolutely adore doing it. So, after you feel your hamster trusts you, try putting them on your shoulder and see what happens. And if this action creeps you out, a shirt pocket works just as well. Most importantly, make sure that you continue to pet your hamster throughout whatever activity you choose. Again, it will soothe them and make them feel more comfortable about the activity they’re engaging in with you. With all this new knowledge, you and your hamster should become best friends rather quickly. In fact, all that shyness and standoffishness should dissipate into happiness and affection. And once it does, you’ll never have to worry about your connection with your hamster ever again!